"While some of our competitors are abandoning sedans, we remain optimistic about the future of the segment," Toyota said in a statement. As above, good luck with that, Toyota. “The segment is fairly stable for sedans, though they’re still not where they were a few years ago,” Billy Hays, the head of Nissan brand sales in the U.S., told Bloomberg. Both Ford and GM no longer announce monthly sales data - for obvious reasons - but Ford is slated to release its first quarter numbers this Thursday. 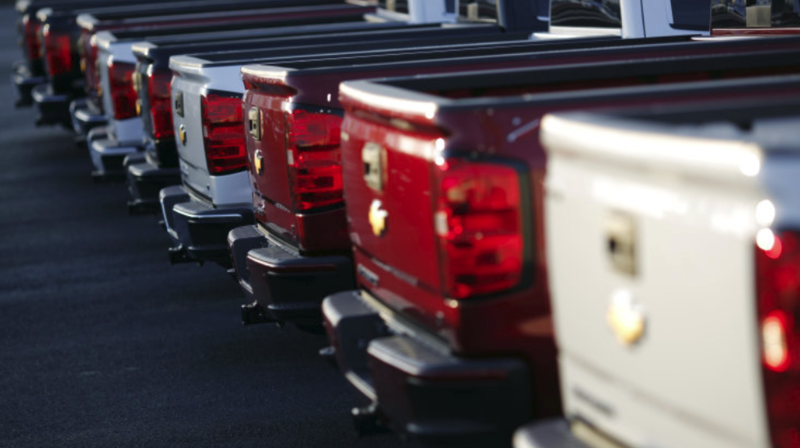 Estimates have pinned the automaker to a 2% decline for the quarter. The whisper number is lower. 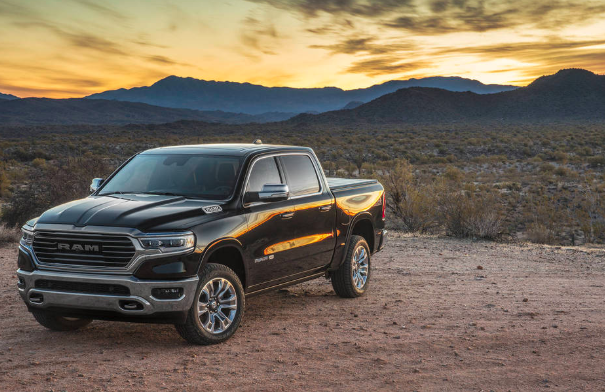 Aside from Dodge's Ram, the U.S. full size pickup segment continues to sputter. The seasonally adjusted, annualized rate of sales is forecast to come in at 16.8 million, based on a survey of 12 analysts. While that would be up from February's 16.61 million rate, it is still well below the 17.33 million pace set in March 2018. Most notably most analysts forecast that industry sales this year will slip below 17 million for the first time in nearly five years, as higher rates, lower rebates, a deteriorating economy and rising prices continue to suffocate consumer demand. Jack Hollis, the Toyota brand sales chief in the U.S., was even more bold: “We’re very close to a bottom,” he said. We'll be sure to check back in with how this prognostication pans out in coming months. The fact that Jeep sales have slowed is a warning indicator that the SUV "boom" in the U.S. could be coming to an end. Mired by higher interest rates and continued tightening of credit, buyers are forcing once record high SUV sales and prices back down again. As a result, Fiat's Jeep Wrangler sales fell 5.9% in the month, as inventory continued to pile up at dealerships. Fiat joined companies like Toyota, Honda and Nissan, as virtually every OEM both missed analyst estimates for the month and posted an annual sales decline. In February, auto sales plunged to 18 month lows as SUV demand hit a brick wall. SUVs were, until this February, one of the sole remaining bright spots in the rapidly slowing U.S. auto market. 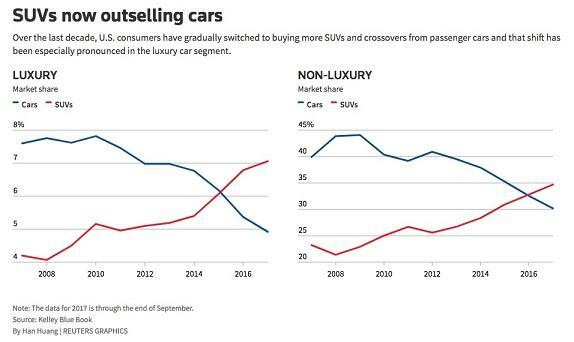 Despite the fact that they were crippling traditional sedan sales, Americans' transition to SUVs was seen as a silver lining, prompting many automakers to make infrastructure changes to account for the change in demand. That silver lining looks to have all but completely disappeared at this point. 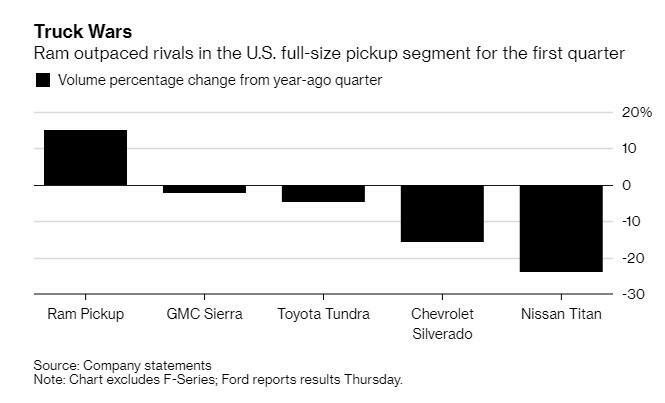 In January, auto companies set the tone for the year, starting 2019 just as miserably as 2018 ended, with major double digit plunges in sales from manufacturers like Nissan and Daimler.